As part of the 2010 International Year of Biodiversity, Finding Species and Telfonica collaborated in the release of Armonia Ecuador, a coffee table book based on the nature of Ecuador. It is a photographic dialogue of the various ecosystems and species throughout Ecuador, a retrospective collection of photographic work, featuring nature and its aesthetic beauty. Ecuador Verde, the Corporative Environmental Responsibility Program of the communications company, Telefonica, funded the project. 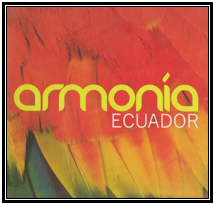 Armonia Ecuador was released on March 3, 2011 at the Ecuadorian Embassy in Washington DC. Partnering institutions and individual friends of Finding Species were invited to this high profile reception. This book was produced as a tool for fund raising efforts.